If the internet is the information superhighway, websites are the portal to any business that dots that highway like motels hoping for someone to spend a night. The first thing that a person may do when trying to find a restaurant is to look up your website for more information. The question you should be asking yourself is: are you making the most of your website? The first thing to do is think about your current website. You probably only have a few elements on your website. You likely have a bit of contact information, your restaurant’s hours, maybe your menu and perhaps a little bit of history behind your establishment. Evaluate your current website to see if it meets the needs of your visitors Could you improve on the design and what you have on it? What items do your customers want to see? A great evaluation technique is to try out your website as if you’re a visitor. Use different devices to see if the website functions well no matter what device you try. Diversify by accessing your website through a computer, a smartphone and a tablet. Borrow one from your staff or family members if you don’t have access to a variety of devices. That way, you simulate what your visitors will see. Some web designs are more responsive than others, and you may find that your design is hard for visitors to use on mobile devices. Make notes on any changes you may need to handle to make your website better for smaller screens or other issues. Another evaluation technique involves getting inside the heads of your customers. Put yourself in several different scenarios as to why a person may check out your website. Imagine that you’re looking to find the hours you’re open, what payment methods you take, if you offer delivery options, online ordering options, what is on your lunch menu and even if you wanted to get in touch with the restaurant. Be creative when you go through different scenarios, and see how well your website handles your visitor’s reasons for coming to the website. Jot down anything you think may need to be changed or added after running through some scenarios. One of the most important features for your website is your menu. Your menu is what attracts new orders to your website and brings people into your restaurant. The readability of your website’s menu determines how attractive your website looks to visitors. A menu that is hard to read due to formatting may turn people off to your restaurant in general even though there’s nothing wrong with your food, atmosphere or menu options. This is one feature you don’t want to skimp on when it comes to your website. Don’t forget the visual nature of appetite and hunger. Think about the picture or lack of pictures on your menu. If you don’t have high-quality pictures of the food you serve, schedule a photoshoot soon and get that up and running. 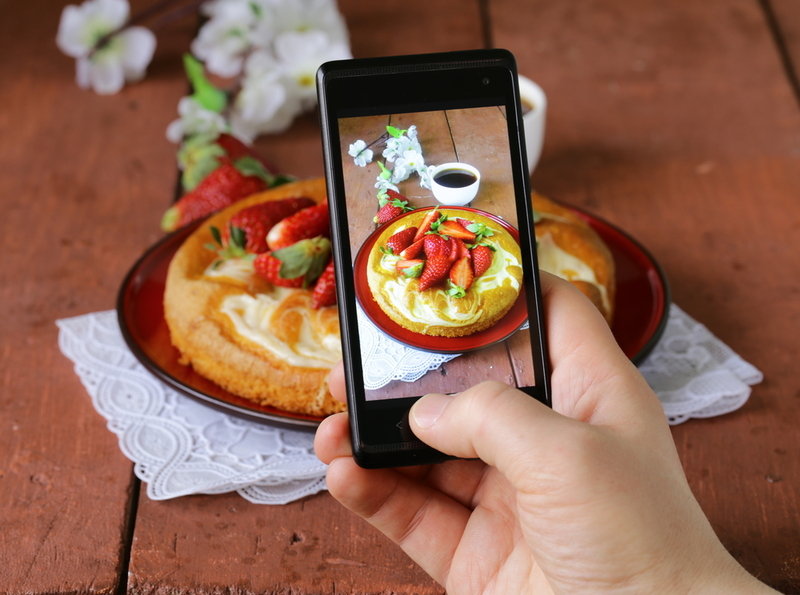 The good news is that with high-quality cameras built into smartphones, you can take your own menu pictures thanks to tips for taking food pictures. After you’ve gone through your website, take a look at your notes and think of ways that you can improve your website. Tweaking little things here and there may help you to increase your website’s traffic and increase the number of people coming in or placing online orders. Keep things simple and easy to use. After making any changes, go back to the evaluation stage. Make sure that you haven’t muddied up how the user interface works and that it still functions well. One thing to consider is SEO and adding regular content. SEO means search engine optimization by using keywords in certain areas of your website. Think about your restaurant name, menu options, contact information and descriptions of your food. Google loves video content, so be sure to include videos in your website. At the end of the day, you want a website that works well and offers your customers an easy experience. Many of your deliveries go to busy parents with families to feed and people coming home after a hard day at work who just want to relax with a good meal. These customers don’t have time to eat out and rely on your restaurant to provide them with an easy ordering experience. That way, busy folks can indulge in their favorite treats from your menu without having to do more than clicking a mouse to place the order. Still wondering what steps you need to take to improve on your website or just not have enough time in your busy day to give it a thorough evaluation? That’s understandable as you have a business to run, and that’s your wheelhouse. Our wheelhouse involves handling your online presence. That’s why you can trust orders2.me to design a custom website for your restaurant that responds well to multiple devices, attracts visitors and optimizes your online ordering interface. Contact us today about how we can help your restaurant to make the most out of your website.